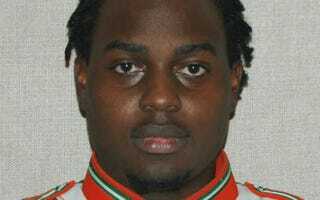 On Thursday the longtime director of Florida A&M University's famed band announced his retirement, and a top state official urged the university to keep the band suspended while investigations continue into a drum major's Robert Champion's death in an alleged hazing incident. Frank Brogan, the chancellor of Florida's state university system, wrote a blunt letter to FAMU President James Ammons urging him to keep the band suspended. Ammons was expected to discuss the fate of the band at a special meeting of the university board of trustees planned Monday. Meanwhile, Ammons disclosed more than 100 band members weren't even enrolled FAMU students at the time of Champion's death, a new revelation shaking the Marching 100 whose storied history included performing at Super Bowls and inaugural parades. Solomon Badger, chairman of the FAMU board, said he hopes Ammons would announce he is keeping the suspension intact for the near future. "I would like to hear him say the band is suspended indefinitely until sufficient time has lapsed and enough has been done to make sure that this doesn't happen again," Badger said. "The time to fix the band would not be while the band is on the field." Former state Sen. Al Lawson, a FAMU alumnus from Tallahassee, said he believed Ammons was leaning toward keeping the band suspended.